Effingham is a wonderful family cricket club for both senior and junior cricketers in the Borough of Guildford in Surrey. The Cricket Ground lies at the edge of Effingham Common and was originally known as The Calburn Cricket Field. The site was given to the Parish Council by the Lord of the Manor, Mr Calburn and has existed since 1853. Known as “The Ships”, the club runs two adult teams in the Fullers Brewery Surrey Cricket League, and a Sunday XI in the Village Cricket League. Our Youth Development Programme has cricketers as young as 5 years old, and junior teams play in the West Surrey Youth Cricket League. I first joined Effingham Cricket Club in 1991, aged 48, a slightly older than average playing member! Despite my advancing years, I was made very welcome by all and enjoyed keeping wicket and opening the batting for the 2nd XI. 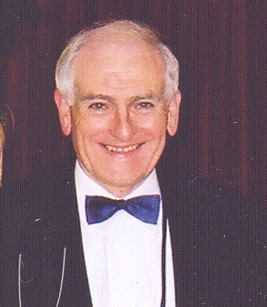 Following six years as chairman between 1994 and 2000, I carried on playing until 2008, when it was time for the younger generation to take over. I never lost touch with the club and enjoyed many visits to the picturesque ground, meeting many friends who were still young enough to enjoy their playing days. It certainly came as a surprise when I was honoured to be elected as President at the 2015 AGM. Although cricket has been played at Effingham for over 100 years, it is hard to imagine a time when the friendliness and happiness at the club would have been at a higher level. We are very fortunate to have a membership that not only covers a very wide age range, but also leads to real companionship and everyone gets on like one big family. We have three colts groups, U8’s, U11’s, U14’s, moving up to two Saturday XI’s in the Fullers League, a Sunday XI in the Village Cricket League and a midweek T20 XI. The junior teams play in the West Surrey Youth Cricket League. We also had great pleasure in launching our Ladies XI in the summer of 2018. Friday night training for 5 year olds up to senior level starts at the beginning of May and continues right through to the end of July. These regular sessions have developed into a real village atmosphere and they provide a welcome opportunity for all the parents to relax, while their children are under the care of our qualified coaches. The weekly BarBQ is now a popular feature, completing a thoroughly enjoyable social Friday evening. 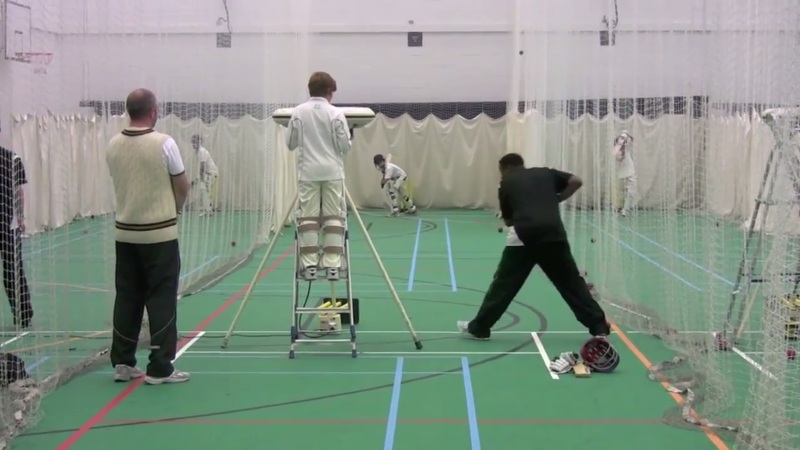 Winter indoor nets are held during March and April, usually at Feltonfleet School in Cobham, where the facilities are excellent and safe. We provide a warm welcome to all new members and offer every opportunity for them to develop their particular skills. We are delighted to announce a new three-year sponsorship deal with Mundays LLP! Mundays will be our title sponsors and their name will appear around the ground and on our new playing shirts. Our warmest thanks are extended to Mundays for their interest and supporting our club. Mundays’ experienced lawyers are recognised for their high quality work and depth of knowledge across private and commercial client work. For more information about their insights and services, please visit their website at http://www.mundays.co.uk or send an email to enq@mundays.co.uk. We have a range of sponsorship opportunities available for any individual or organisation wishing to help support a growing club. Any financial support we receive is invested into improving the club facilities and enhancing the long term plans we have for leaving a lasting legacy of cricket in Effingham for future generations. Please contact us if you, or your employer, would be interested in helping us. 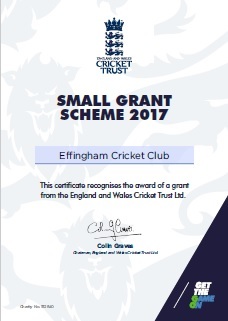 Our sincere thanks go to the EWCT for awarding Effingham CC an incredible £3,000 grant as part of their small grant scheme 2017. The scheme is designed to help clubs make small changes to improve their long-term sustainability and/or to increase the number of games played during the season. At Effingham, we put the funds alongside a club contribution of £1,400 to acquire new mobile covers. This essential equipment directly contributed to improved playing conditions in 12 fixtures and ensured that 5 matches were actually played that would otherwise have been cancelled.